The idea of staged photos at multiple locations over a whole day may seem normal for celebrities, but is definitely a strange concept for us "normal people". But this exactly what happens on your wedding day. The key is to make it fun and the key to that is to have a great photographer(s). But using props never hurts and it has become more popular especially in the past year. 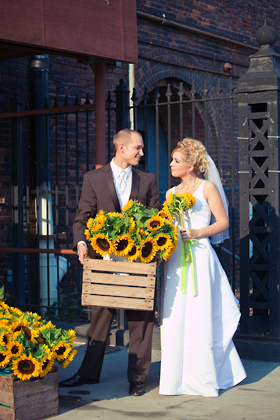 Changes of scenery and pops of personality change your wedding photos from standard to amazing. Not sure how to start or what to bring? Talk with your photographer and use your engagement photos as practice for the big day. You will get used to having your picture taken and taking direction and I promise it will make you more comfortable. The great props that I've seen always tie into the wedding theme and/or the couple's interests. And don't forget that props are fun for guests too. I've seen everything from feather boas to sunglasses to balloons handed to guests to party down during the reception. 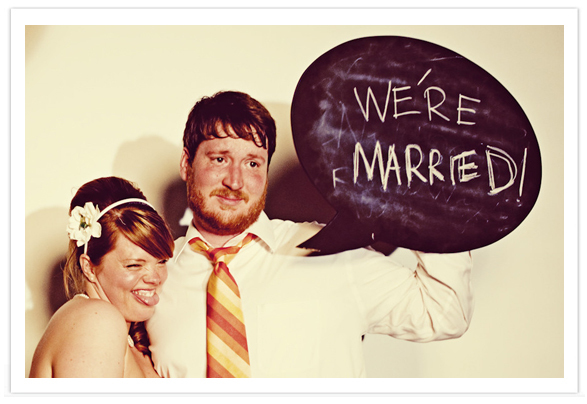 And of course, props always add to the fun of a photo booth! Here are a few real wedding photos for inspiration. Enjoy!